The Press of Robert LoMascolo: Who's writing about Fortnight today? Who's writing about Fortnight today? "Letterpress artist Rob LoMascolo of Upstate New York talks about the traditional craft of letterpress printing in a recent collaborative effort known as Fortnight. Fortnight is an online multi-media and documentary project that’s been put together by a group of 20-somethings to recognize different disciplines that honor the past while defining the path of the future. LoMascolo is one of Fortnight’s fourteen contributors, and he talks about the traditional craft of printing that has exploded again in the digital age. He is featured with his Challenge Proof Press in this instructional video as he provides a lesson in Letterpress 101. 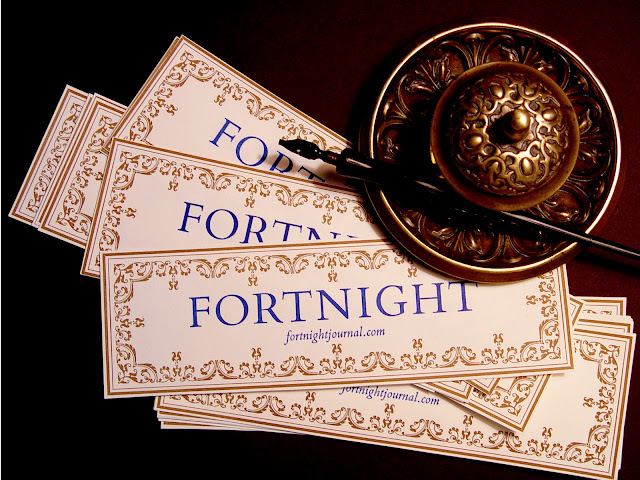 Fortnight Journal traveled to the Finger Lakes in New York to interview and film Rob in his studio. We are pleased that not only is Rob showcased for his printing prowess but he’s a neighbor of ours and prints right down the highway from Syracuse."